The Inglis Consortium LLP, made up of St Modwen Properties, VSM, London Borough of Barnet and Annington Property Ltd have come together as master developer to deliver their video for Millbrook Park together with their house builder partners. Homes are currently being built and offered for sale by the developers listed below. Set in a semi-rural environment on the edge of a conservation area, the site affords great views over the Finchley Golf Club and towards north London. 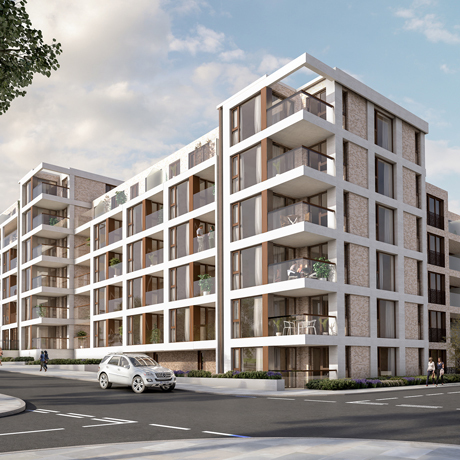 The adjacent Mill Hill East tube station provides excellent connections to London’s numerous attractions, and there are wide open spaces, tree-dotted hills, flower-filled meadows and riverside walks right on your doorstep. Some spots make it hard to believe that a quick tube ride could take you to the neon lights of Piccadilly Circus.